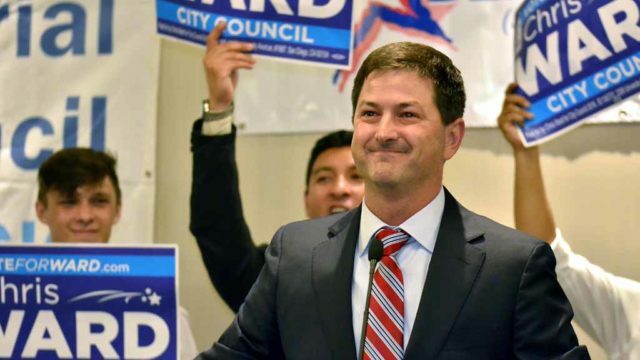 San Diego City Councilman Chris Ward announced the launch Thursday of a program to help homeless residents in North Park and City Heights gain access to housing and medical services. The city developed the one-year pilot program with North Park Main Street Executive Director Angela Landsberg. The City Heights Business Association, City Heights Community Development Corporation, Councilwoman Georgette Gomez, the office of former county Supervisor Ron Roberts and Price Philanthropies all contributed funding and resources to the project’s development. An oversight committee comprised of local stakeholders will manage the program, according to Ward’s office. USC will also study the program and compose a report at its conclusion, detailing the number of homeless residents who made connections to housing, medical and job training services. The city of San Diego’s homeless population officially totaled 4,912 during last year’s point-in-time homeless count, representing 57 percent of the county’s total population of homeless residents. Many of those residents resided in Ward’s City Council district, which includes North Park, City Heights, Balboa Park and downtown.